Miniature American Shepherd temperament and personality makes this breed a great choice for a pet for the right person. The Miniature American Shepherd is, as her name would suggest a herding dog. In fact, she actually looks like a smaller version of the Australian Shepherd. The breed came about as a happy accident after a group of small, unregistered dogs was bred that were assumed to be Australian Shepherds. The Miniature American Shepherd feels just as comfortable on the farm as she does in the big city. She’s good at adapting to her environment, and she’s a very intelligent dog. 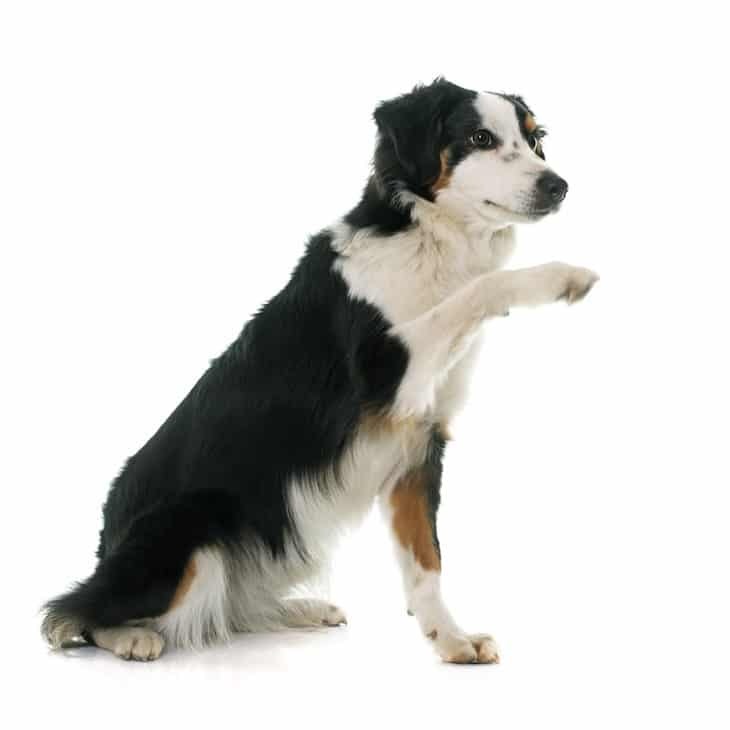 Because she has a lot of energy and she loves a good challenge, activities that allow her to put both her mind and body to work are ideal for the Miniature American Shepherd. Due to her higher energy level, the Miniature American Shepherd needs to be walked several times a day or jogged with. So if you love to walk, or you’re an active runner, she will gladly be your companion on these trips. However, if you don’t run, and a walk or two a day is all you can manage, the Miniature American Shepherd will adapt to your lifestyle. This speaks to her loyal and trainable temperament traits. With or without you she will look to release her energy in other ways. The Miniature American Shepherd’s coat comes in a variety of colors, including red, blue merle, red merle, and black. She needs to be brushed about once a week to keep her coat looking and feeling nice. However, during shedding season, you’re going to want to brush her every day – both to prevent buildup and to stop the hair from spreading throughout the house. Her nails grow quickly, so you’ll want to trim them often. If she’s outside a lot, you’ll want to inspect her nails for dirt or insects to prevent them from developing an infection. Read more here about Do It Yourself Dog Grooming for tips. Because the Miniature American Shepherd is so intelligent, she is easier to train than some of the other breeds. One of the things she should be trained on first and foremost is dealing with strangers. She can become withdrawn from those she doesn’t know, so socializing her early can help her overcome this. Another thing she may need to be broken from is her inherent ability to herd. She enjoys herding so much that she may attempt to herd small animals and children. If you are serious about learning to train your dog check out this online resource. Typically, a male Miniature American Shepherd is about 14 to 18 inches in height and the female 13 to 17 inches. Both sexes weigh in at roughly 15 to 35 lbs. The average lifespan of a Miniature American Shepherd is between 12 and 15 years. Be sure to give her the necessary vet checkups and care. This gives both of you the best chance of enjoying each other's company for a long time. On average, the price of a Miniature American Shepherd ranges from $900 to $1,000. As with any purebred, always make sure you do your homework before dropping that amount of money on any old breeder. Some breeders don’t breed dogs for quality, only for profit. Further, some breeders do not test their puppies as required. Make sure you receive a certificate declaring the puppy’s health and any potential ailments before paying for the puppy and walking away. With this breed, in particular, you’ll want to be sure to ask about any other puppies in the breeder’s care, either presently or in the past, who may suffer from a spinal cord disease. Legitimate breeders will have their puppies tested for this by the time their puppies reach a certain age. You should also make sure you meet the parents of the puppy you are interested in adopting. This can clue you into the health of the puppy you will eventually be bringing home. You should know that the Miniature American Shepherd is not an easy breed to find. You won’t always find this breed listed on any of the major adoption sites. That being said, you can use the webpage for the Miniature American Shepherd Club of the USA. However, this page functions as a sort of Craigslist for dogs, so there’s no guarantee that you’ll get matched up with a dog that is high-quality and healthy. If you happen to get lucky with a local shelter you should test the temperament of your Miniature American Shepherd before you select on one. 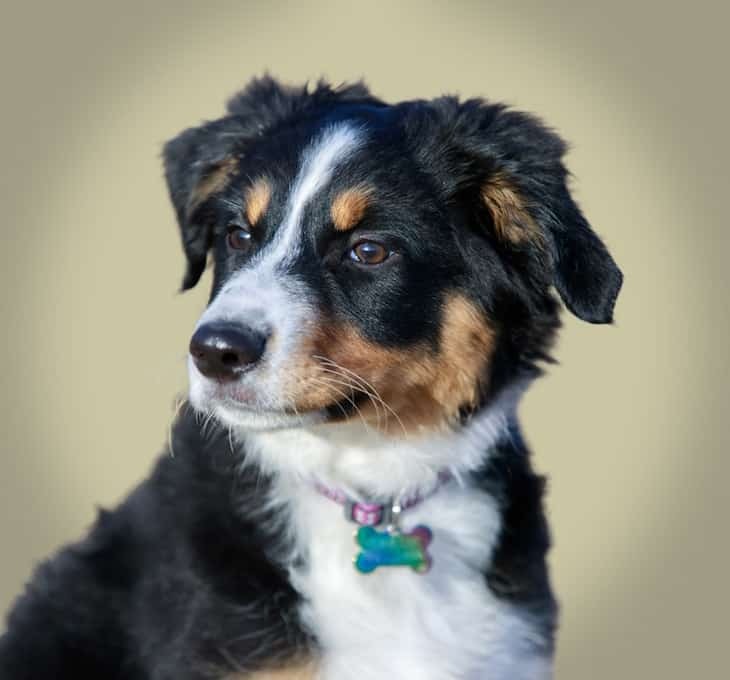 The Miniature American Shepherd is a loyal, intelligent, and energetic dog, making her the perfect companion if you love to talk frequent walks or daily jogs. She’s a herder by nature, so you may have to train her out of herding smaller animals and young children. She’s a whiz at training, though, so it shouldn’t take you too long to correct her of a bad habit. She loves to learn, and she loves to please her master. She also adores a challenge. 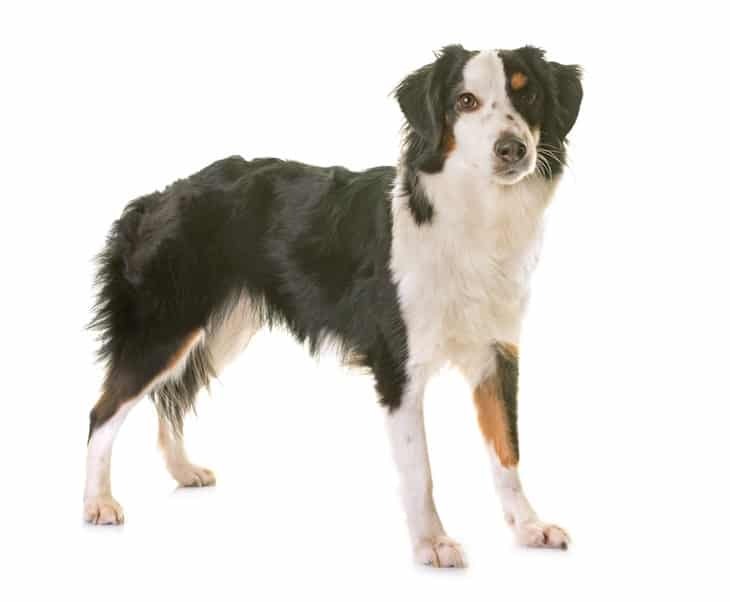 The Miniature American Shepherd needs to be groomed with about the same frequency as any other breed with a similar coat. This includes daily brushings during shedding season. Perhaps the best thing about this breed is her ability to adapt to any environment. City life? She’s on it. Living in the countryside? She’s fine with that, too. The Miniature American Shepherd is an amenable dog and a perfect choice for a family pet.